A new, South African-developed rival to WhatsApp, which offers zero-rated data access on South Africa’s four largest mobile operators, has been launched. Called Moya Messenger, the app, which was developed by a company called biNu, works even when users have no airtime or data on their smartphones. “The Moya app provides a similar messaging experience to market leader WhatsApp but with the key distinguishing feature that text messaging is #datafree across all four major mobile networks,” the company said in a statement on Tuesday. BiNu CEO Gour Lentell explained that the company provides zero-rated access by utilising operator reverse-billing. This means the company pays Vodacom, MTN, Cell C and Telkom for the mobile messaging data costs. It has also developed a platform so partners and customers can make their apps and websites zero-rated for end users. “Despite a multimillion-dollar marketing budget, WeChat struggled to gain a foothold in the South African market largely because the incumbent network effect of WhatsApp proved too competitive to overcome,” Lentell said. 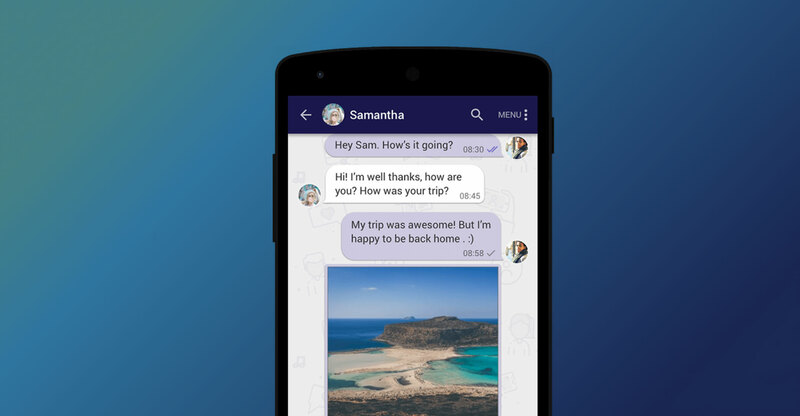 Moya Messenger was built using “proven, industry standard open-source messaging technology and adapted” for zero-rated data, the company said. Although message attachments such as photos, videos, voice notes and documents can be sent and received, these are not zero-rated. Users are warned when they will incur mobile data costs, or need to switch to Wi-Fi to send media files. How does biNu make money from the app? “The commercial model is to provide rich, programmatic access to businesses and enterprises of all kinds so they can engage at scale with their audiences through messaging, without a cost implication for their users, members and customers,” it said. “We see opportunities for organisations to benefit from a #datafree platform — for example, financial institutions delivering customer support and document exchange; trade unions and political parties wanting to communicate with their members; government agencies to disseminate information and implement service delivery; NGOs for reaching target communities; and the fast-moving consumer goods sector to reach their audiences,” Lentell said. All business communication will be on a consumer opt-in basis only, the company emphasised.